There’s no Starbucks in my province. That’s one of the things I hate. So discovering a local coffee shop in my provincial home town is something really refreshing for a coffee addict as myself. The coffee shop is called Bobbie’s Café. It’s located along the highway at the opposite lane if you’re coming from the direction of Manila going to the north. You’ll drive past by it if you’re driving from the north (like Baguio) or from the west (such as Dagupan). 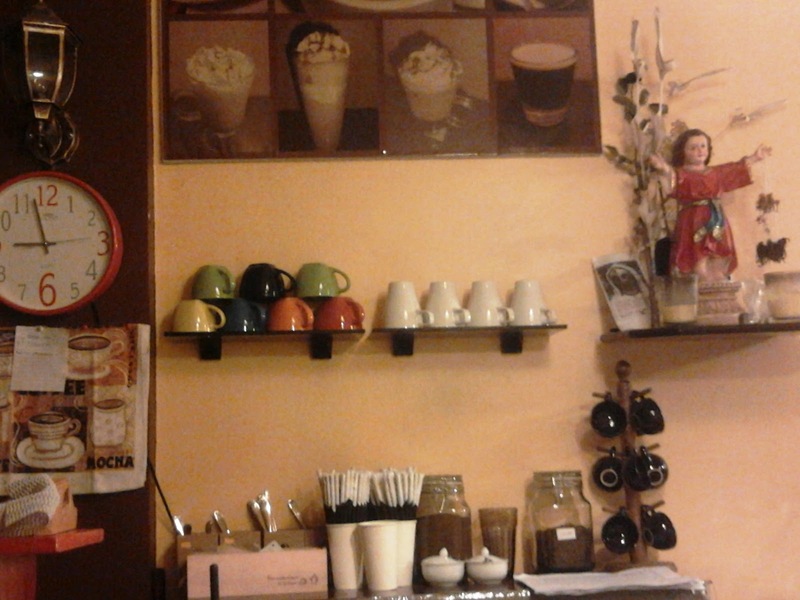 The café is just along the highway close to the heart of the town of Villasis, Pangasinan. You won’t miss the LED signage even at night. Inside, you’d immediately feel the ambience typical of any other coffee shop. 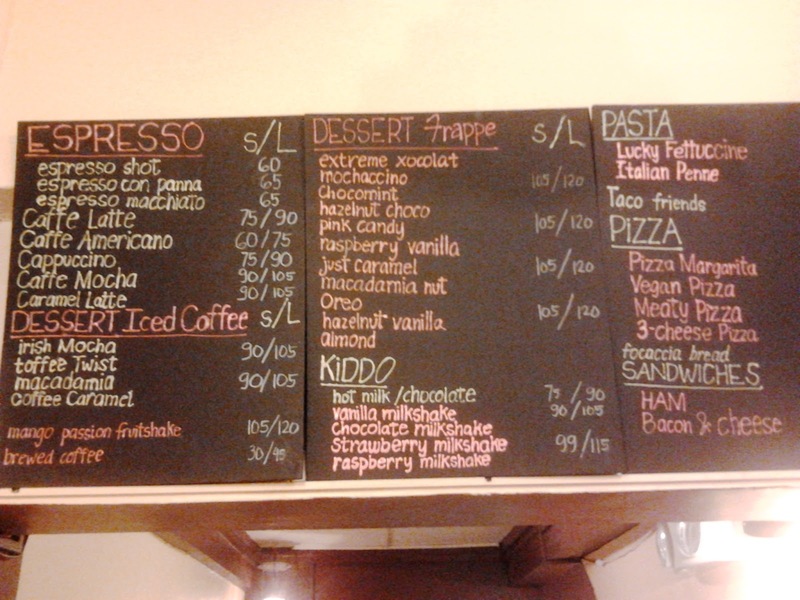 There’s the usual menu board engraved through varying colors of chalk. 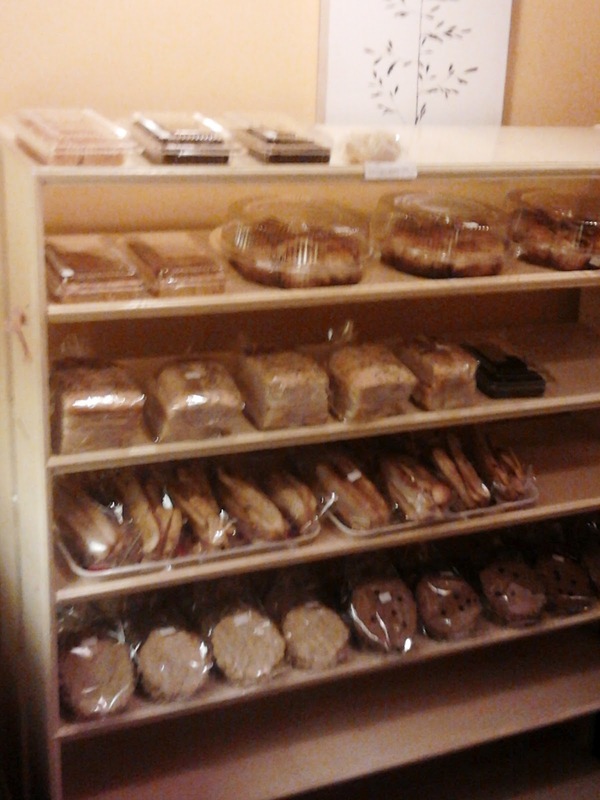 There’s a shelf for breads, cookies, and more baked products. 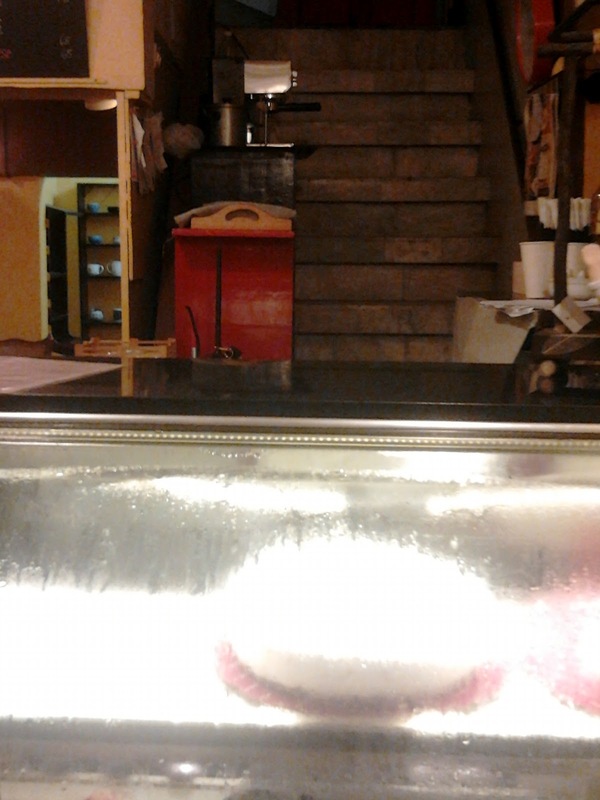 A counter with frozen cakes and pastries is also present beside the cash register. Cozy seats and tables welcome you inside the café. 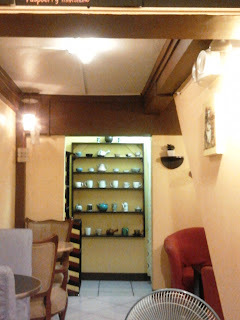 In fact, there’s a long sofa greeting you as soon as you enter the café’s premises. Most other chairs are also comfortable as they resemble a mock sofa in design. Speaking of design, the interior decoration can be described as minimalist in nature with a relaxing mood set by dim lights, soft colors, and a modern overall style. The place is minimal even in terms of space. It can only accommodate about 5 groups of customers at the same time. It’s situated underneath a staircase, would you believe it? The coffee shop owner’s house is located at the second floor of the building when you ascend through the stairs. 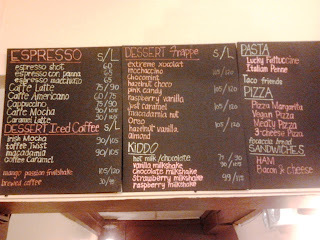 The proprietor’s name is obviously Bobbie and her family is a native of the town where I grew up. But I don’t really know them personally. 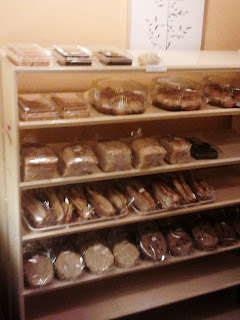 Bobbie was out of town when we dropped by, which explains why there are only a few baked goodies displayed on the closed glass shelf. She (yes, Bobbie is a female) also bakes the cakes and desserts according to her father, who was there to accommodate us before the shop closed at 10 PM. 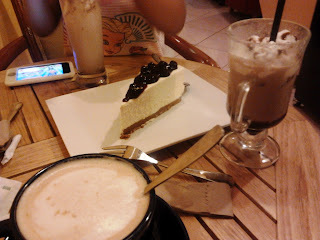 We ordered capuccino, Irish mocha iced coffee, cold chocolate milkshake, and blueberry cheesecake. The latter was the only cake left on display that night. The chocolate milkshake was superb. It’s not the typical chocolait-like drink you’d find in other coffee shops. The Irish mocha was one of the shop’s best sellers and was suggested by one of the crew. There were only two crews present, a male and a female. If they were brewing the coffee combinations, then they’re doing a fantastic job and were probably well trained when it comes to serving hot or cold caffeinated drinks. Even the cappuccino drink wasn’t anywhere close to 3-in-1 cappuccino drinks available in tetra packs you can purchase in groceries and supermarkets. But as always, I’ve asked for more sugar. I prefer a battling taste between bitter and sweet coffee. 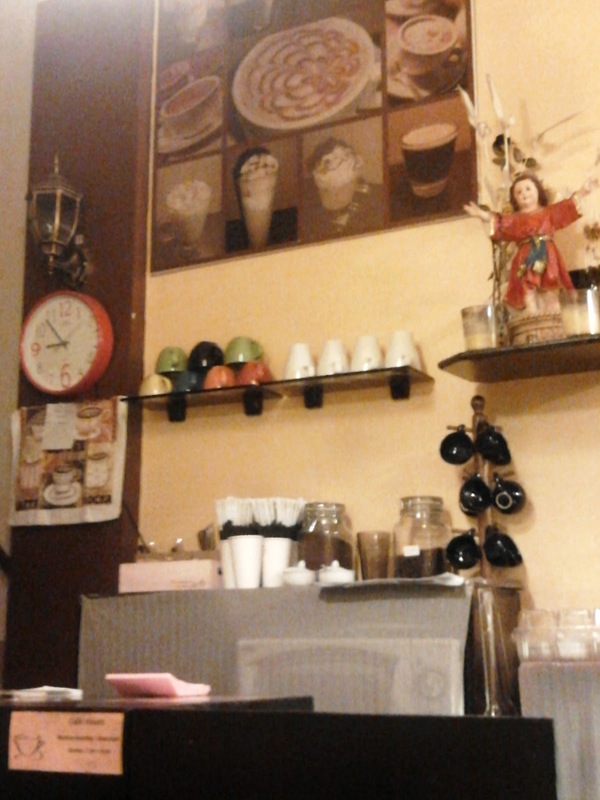 Overall, Bobbie’s Café is worth dropping by at if you ever come across this side of Pangasinan. While I was taking pictures from my mobile device, the owner’s father commented that they were able to serve several celebrities recently who also took pictures of the place. Update: This establishment is sadly now closed.